Financing a car with credit and financial problems can seem like a migraine waiting to happen; good news for you, it doesn't have to be. 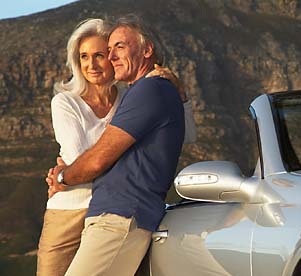 Here at AutoNetFinancial.com we've been making a point to provide really bad credit car loans for people and helping them get approved for affordable auto financing for the last 22 years! The process of getting auto loan approval for bad credit financing does not have to take forever, even with no credit at all. Don't go driving around from dealership to dealership looking for financing; apply from the comfort of your home or office in minutes! If you are planning on buying a new or used vehicle with an auto loan for people with bad credit, then you've come to the right place. We have been helping people who need auto loans for bad credit find a local lender/car dealer who can approve financing for bad credit. Our exclusive network of subprime finance specialists are here to assist you when in need of auto financing. With a reach that expands over the United States and most of Canada it's safe to say we've got you covered, apply online today! As with any type of auto loan, make sure the car you are financing is in good working condition. Using a vehicle history report is a great place to start. Even if a report is not supplied to you by the dealership, it is worth spending a few bucks on. Take the car to a certified ASE mechanic of your choice before signing the dotted line. When you get auto financing for people with bad credit your interest rates are going to be higher than the locally advertised financing rates; getting stuck with an overpriced auto loan for an inoperable vehicle can be quite draining, for you and your wallet. Applying for bad credit auto financing only takes a matter of minutes, fill out a quick auto loan application today.